Free Notes Simple 2 template for Organizer Deluxe and Organizer Pro users. Use this template to track and organize notes in a simple form. 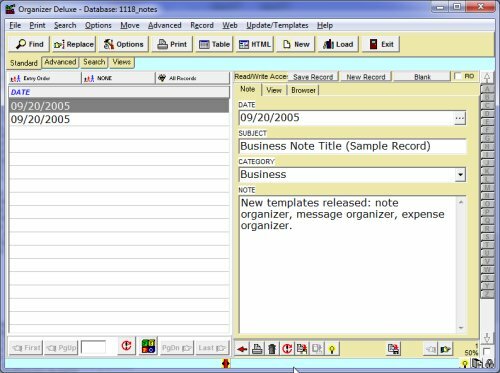 Manage note information including: note date, note subject, category, and note body.